Schnoodles, a mixed breed of Schnauzer and Poodle, are a smart and affectionate breed. You will typically find Schnoodles for adoption at organizations that take Schnauzers or Poodles. Any rescue Schnoodle should be up to date on his shots and spayed or neutered before being adopted. Dog rescues often have a strict adoption procedure to ensure the dog will be in a safe environment. The application may ask questions about a potential owner's schedule, ages of children that will be around the dog, personal and veterinary references, and expectations of the new pet. Any Schnoodle adoption fees charged usually help alleviate the veterinary costs acquired by the rescue group. Coastal Poodle Rescue in Melbourne, Florida rescues Poodles and Poodle mix breeds such as Schnoodles. The organization places dogs in foster homes until it can identify a potential owner. Also, Coastal Poodle Rescue provides all necessary veterinary care before a dog is placed for adoption, and all dogs are microchipped. Adoption donations range from $150-$400, depending on the dog's age and health status. This Schnoodle rescue in Florida only serves Florida residents due to a home visit requirement before an adoption application is approved. Fill out an online profile to get started. The founder of the Schnauzer Rescue Cincinnati felt it was important that her group take Schnauzer mixes, including Schnoodles, of any age or health status. The no-kill group is based in Ohio but has members that assist with rescue in Alabama, Delaware, Indiana, Florida, Kentucky, Missouri, Pennsylvania, Texas, and West Virginia. You can complete an application here; once completed, a home visit and veterinary reference check will be conducted. Adoption fees change depending on the dog, but usually come in right around $300. Located in South Carolina, the Carolina Poodle Rescue is a no-kill rescue that re-homes Poodles, Poodle mixes such as Schnoodles, and other small breed dogs. They are big proponents of spay/neuter initiatives in order to help end euthanasia. Once you have filled out an application, the rescue will contact your veterinarian and references. You may be contacted by email with additional questions. If you pass the veterinary and reference portion, the rescue will assign you one of their adoption counselors, who will conduct a telephone interview with you to make a final decision whether to approve your application. Adoption fees range from $125-$499 depending on the dog. Note that this rescue does not adopt to families with children under the age of five in the home to avoid a child roughhousing with the dog and a subsequent dog bite occurring. Based in Southern California, Miniature Schnauzers and Friends primarily rescues Miniature Schnauzers but also takes in Schnauzer mixes. Dogs are kept in foster homes or are boarded until a suitable home is found. You must live in the greater Los Angeles area to adopt from this rescue, and a home visit is required. After you have filled out an application, a volunteer will match you with a Schnoodle whose personality traits best suit your interest. Adoption fees range from $250-$350. Located in Houston, Texas, this group rescues Poodles and Poodle mixes, including Schnoodles, as well as the occasional dog without any Poodle breed connection. Unlike many breed rescues, this group has a facility where the dogs live and you can visit them there by appointment only. Adopters must be 21 or older and should live in the Houston area although out-of-area and out-of-state adoptions are considered on a case-by-case basis. An application is required as well as veterinary information and proof you can have a pet where you live if you rent. Fees run from $360 to $610 with puppies, Toy Poodles and Standard Poodles tending to the higher end of the fee range. This volunteer group focuses on rescuing Miniature Schnauzers and their mixes, including Schnoodles, as well as other mixed breed dogs with Poodle or Miniature Schnauzer in them that are under 25 pounds. All of their dogs are kept in foster homes and you can meet dogs you are interested in after completing an application. The volunteers will bring the dog of your choice to your home and will complete the process there if you decide it's a match. Adopters must be at least 21 years old and any currently own pets must be spayed or neutered. Adoption fees begin at $350 for dogs up to six years old, $275 for dogs aged six to 11 years and $225 for senior dogs. The Poo Mix Rescue site is a rescue information site run by volunteers that lists rescued Poodle mixed breed dogs from the US and Canada. The site's goal is to help rescue centers and shelters find homes for these dogs by bringing all the listed mixes from around North America to one place. Petfinder.com is a network of all kinds of adoptable animals throughout the country. You can search for a specific breed on the site and narrow results down to your area to see what may be available not only at rescues but at local animal shelters as well. Schnoodles are not an official breed listed on the site, so be sure to include Schnauzer Poodle mix rescues under breeds you are seeking so that any Schnoodles available come up in the search. 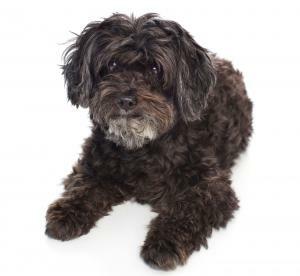 vetSTREET notes that Schnoodles are known for being very affectionate and highly trainable, with a life span of 13 to 17 years and few health issues. 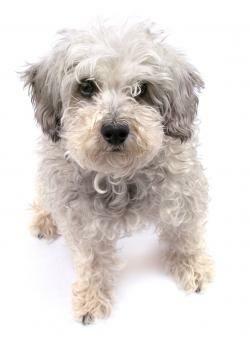 Though Schnoodles are very adaptable, a rescued Schnoodle may need some time to adjust to his new home after adoption. Ease the dog into his new environment and be patient. Feel free to ask the rescue organization for advice on how to help your specific dog adapt to his new home. 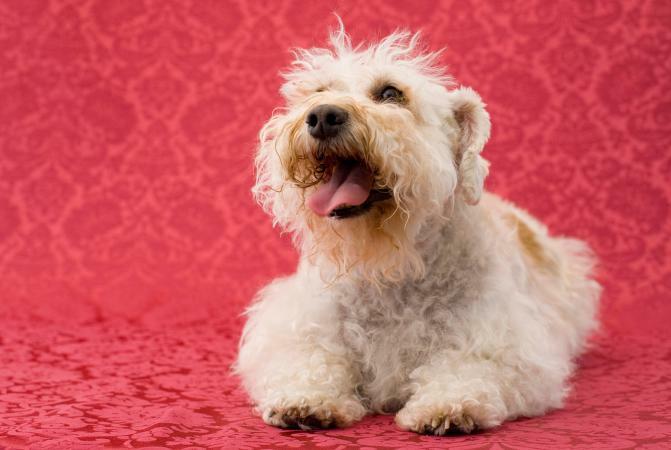 Schnoodles are a rare mix of breeds, so if you decide to rescue one, consider that it may take several months before one becomes available for adoption through your selected rescue organization. Contact a rescue as soon as you've decided to adopt a Schnoodle and put your adoption application on file. When one does become available, you'll be one of the first in line for a Schnoodle who is waiting for you to bring him home.